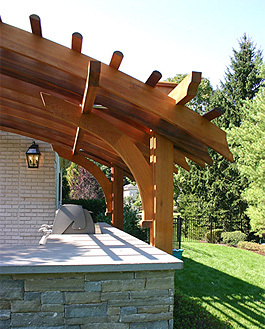 The design of this backyard in New Jersey was a catalyst to create a very dynamic outdoor kitchen pergola. This contemporary home featured several very prominent arched windows. 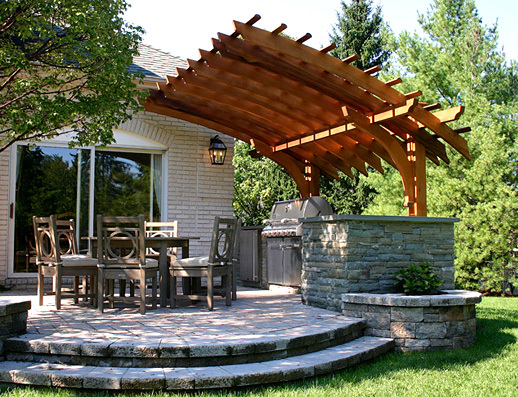 Working with these architectural details, the homeowner's landscape designer created a circular patio to encompass a new outdoor dining and kitchen area. We continued that theme designing a cantilevered structure that provided a visual framing device accenting the existing style of the surroundings. 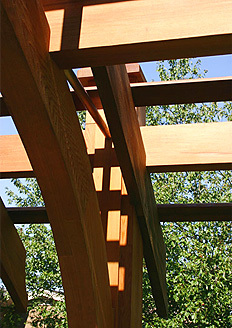 The cantilevered pergola, while maintaining an open feeling, provides a sense of intimacy and privacy where it was needed. 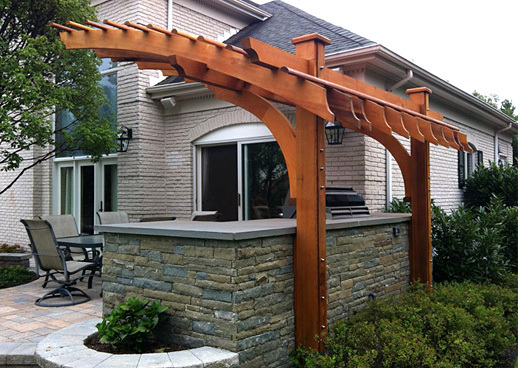 Several unique engineering solutions were incorporated to facilitate the cantilever, thereby keeping the patio free from vertical support posts, per the request of the homeowner.